Halloween is a great excuse to have a party, and why not get all the geeks together and do like Dumbledore? Here is what you need to have a great geeky Halloween party. Planning any party is easier with a theme, and Halloween is no different. You can make it as specific as you want, like picking a specific fandom, or more broad with just a genre. For example, Harry Potter would be a specific theme while Anime would be a broader theme. Of course, you can always just make it a Geek theme in general with all fandoms welcome. Most parties supply the same entertainment, regardless of the festivities. Not everyone is going to want to do the same activities, so having plenty of entertainment is a must. What’s great about a geeky party is that video games and tabletop games are a common source of entertainment for geeks, and are great for parties. 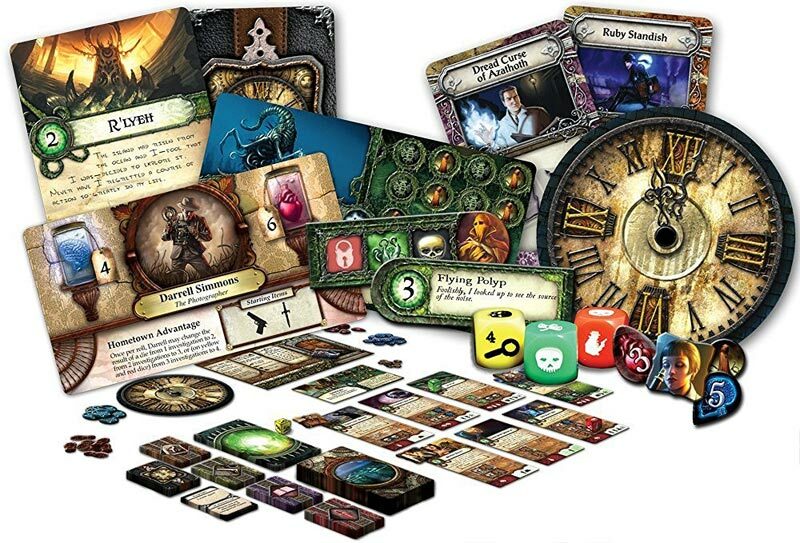 You can see a list of great scary tabletop games here. Food and drinks are essential at a good party, and a great way to add extra geeky to your party. And when you have a theme, you can really play it up in the food. Don’t know where to start? Here are some recipes to help you out! Music can really set the mood, and there are a plethora of geeky music groups out there to fill up your playlist, like I Fight Dragons or Harry and the Potters. You can probably even find some pretty great remixes of favorite theme songs that will make the night even better. Halloween means costumes, obviously. What’s great is when you give your party a theme, your guests can geek out as their favorite characters. Whether everyone is zombies or their favorite fighter is Super Smash Bros., costumes are bound to make the night look good. Want to be an awesome host, have some props that relate to your theme, like masks for superheros or magic wands for wizards and witches. They act as both props for costumes, and fun gifts for your guests. Bonus! What are your favorite geek party ideas? Share them with me below! Absolutely awesome and hysterical! Thank you! We are total geeks so I love this! I would love to do a Harry Potter theme, or even just a general geek theme one year. We’ve also done murder mystery parties which are a ton of fun and come with their own themes! Thanks so much for the recipe feature! This is a great article and the Dumbledore partying GIF is on point, haha. These are all great suggestions! I love a good theme party! Themed parties are the best! It gets guests excited before they even walk in!